And check out our list of cool pets below! 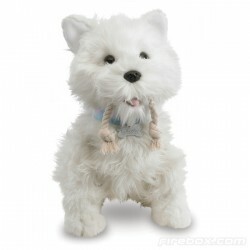 The Ultra friendly Westie that’s tipped to be HUGE this Xmas. He loves playing tug of war and growls playfully when you pull. Benji loves being stroked and responds to your touch as well as reacting when you come in the room with his clever sensors, he’ll actually sit up and bark to show you how pleased he is you’ve arrived. All the fun of a real puppy and none of the mess. Zhu Zhu pets welcome the Zhu Zhu puppies into the Zhu-niverse. 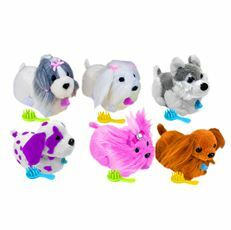 Six furry friends to collect to add to your Zhu Zhu hamster collections. Multi-coloured haircuts, dress them up sets, a bow wow buggy, convertible car and a flower cart all to collect. Press a button and watch them Gooooooo! 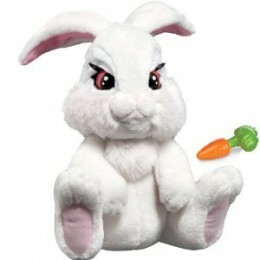 Milky the Bunny is a cuddly white fluffy bunny rabbit that is totally adorable and packed with the very latest interactive technology making him the cleverest bunny since BUGS. Tickle his feet and will wiggle his eyes and ears move, make loud noises though and it’ll scare him and Milky will tremble until he is cuddled and feels safe. Don’t forget to feed him with his big bright orange carrot and you’ll hear him chewing. After a busy day playing Milky will nod off and start to snore. 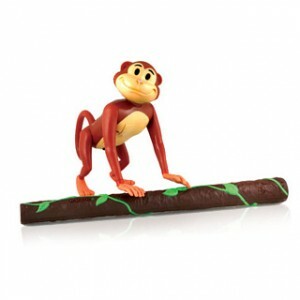 Hide and seek on your own is no fun, so when your friends aren’t around to play grab your hid and seek Monkey (or lion). Just get someone to hide yours around the house and then use the tracking wand to go and seek. 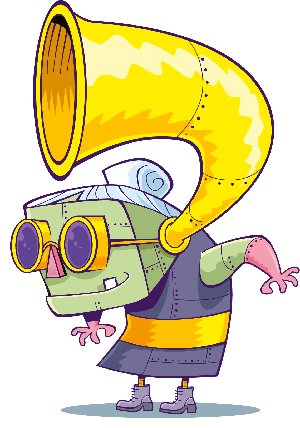 This clever device sends a short-range signal to the hidden toy and when the wand is near they’ll chatter or roar until found. 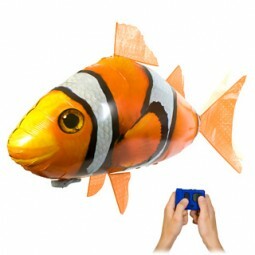 These amazing giant (1.5metre long) swimmers float in mid-air, filled with helium and air, a small fan in the tail lets you steer them around in the smallest of spaces, they’re so much fun. These graceful swimmers will turn your front room into a giant Aquarium – an utterly bonkers but brilliant creation. Clown fish or Sharks available.